Just as her father had had men he depended on, Elizabeth had people around her that played a significant rule during her reign, but while men like Thomas Wolsey and Thomas Cromwell had worked their way up from quite humble origins, Francis Walshingham was born in a well-connected gentry family, presumably living in Chislehurst, Kent. His father, William Walshingham, had in his capacity as a successful lawyer served as a member of a commission to investigate the estates of Thomas Wolsey in 1530 and his uncle Edmund Walshingham, knighted after the Battle of Flodden, was in attendance of Henry VIII at the Field of Cloth of Gold as well as Lieutenant of the Tower from early 1520´s until Henry´s death in 1547. William Walshingham died in 1534 when Francis was only two years old – here it may be appropriate to mention, in the event someone has watched the Cate Blanchett film about Elizabeth I where Walsingham is portrayed as a man significantly older than Elizabeth, that he was in reality just one year older than his Queen – and four years after William´s passing his mother Joyce remarried to the courtier Sir John Carey, brother of William Carey in his turn married to Mary Boleyn, sister of the, by then, executed Queen Anne Boleyn. In 1548 Walshingham enrolled in King´s College at the university of Cambridge, the college known for being ardently protestant and reformist, and only four years later he was admitted to Gray´s Inn in London where he embarked on his studies in law. 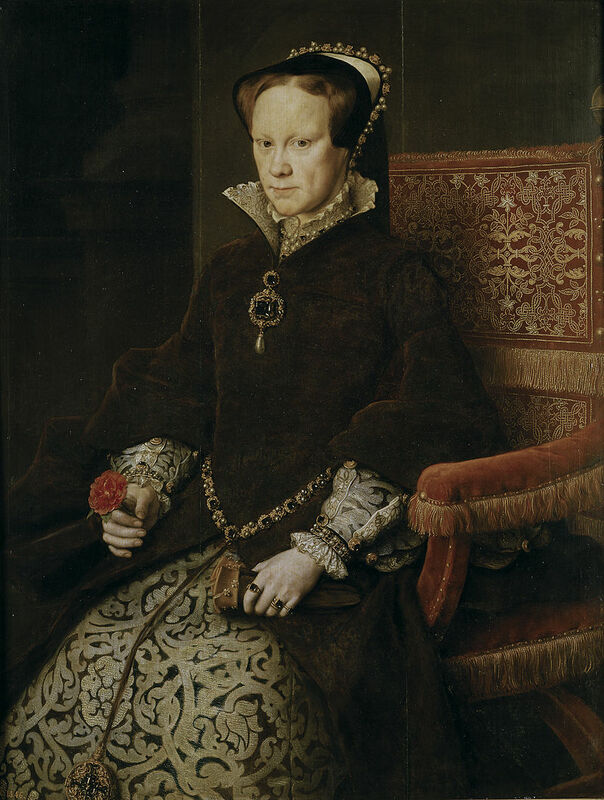 During Walshingham´s second year at Grey´s Inn, the young king Edward VI died, which eventually – after the interlude if the Nine Days Queen, Jane Grey – led to the zealous catholic Mary taking the throne. Just as many other protestants, Walshingham – not without reason as would be obvious – saw fit to leave the country. During his five years in exile, he studied civil law in Padua and would during that time become fluent in both Italian and French. He returned to England when Elizabeth ascended to the throne in 1558, and with the support of Francis Russell, 2nd Earl of Bedford, one of his companions in exile, he was elected as a member of Elizabeth´s first parliament, representing Bossiney in Cornwall. In a re-election in 1563, he was returned for two different constituencies, Lyme Regis in Dorset, which was also under the influence of Bedford, and Banbury in Oxfordshire. Walshingham however chose to sit for Lyme Regis. To be a member of parliament was not something which appealed to Walshingham though, and it seems, even though he remained a member of parliament for the rest of his life, it was something he dealt with rather half-heartedly. Already in the late 1560´s Walshingham was involved in gathering support for the Huguenots who were severely persecuted in France, and at this time the so called Wars of Religion were raging in France, primarily fought between Catholics and Huguenots. Walshingham himself would also be the eyewitness of something that no doubt further influenced his views on Catholics. 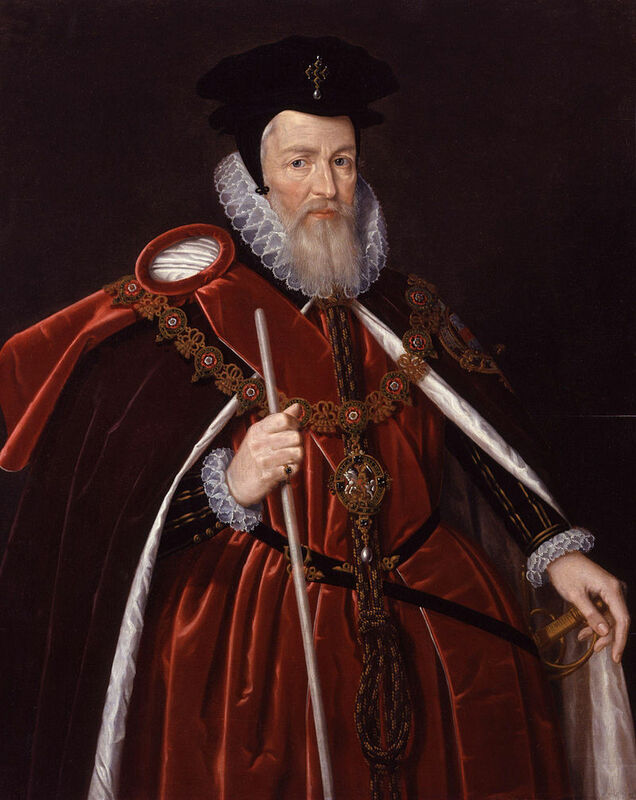 In 1568-69, he joined the service of William Cecil, chief advisor, secretary of state and finally Lord High Treasurer of Elizabeth I. Walshingham´s assignment was to counter plots against the Queen, and no doubt it was now he started to build up the intricate networks of spies for which he has come to be known. The first plot he managed to defuse was the Ridolfi plot, named after the instigator Roberto di Ridolfi, in 1571 which aimed to have Elizabeth I murdered and replaced with Mary, Queen of Scots. Mary had been placed in house arrest in 1568, and a part of the plot was to have her married to Thomas Howard, Duke of Norfolk and cousin of Elizabeth. Norfolk was subsequently executed, as would Mary be eventually, but Ridolfi would live on until 1612. Walshingham is also credited with being the one who anonymously wrote a pamphlet decrying the marriage plans between Mary and Norfolk. But before this, Walshingham had in 1570 been appointed ambassador to France, where one of his missions was to negotiate a marriage between Elizabeth and the Duke of Anjou, an “adventure” where he fully got to suffer the classical ambiguousness of Elizabeth, where she – in relation to proposed marriages – gave the impression of being very eager only to stall and stall until it came to nothing. Walshingham himself was very much against an alliance with France, much due to the persecutions of Protestants, and beginning the night between the 23rd and 24th of August 1572 and continuing for weeks, he himself got to see it in all its horror. In the week leading up to the event, religious tension had been running high in Paris due to the marriage between the Catholic king Charles IX sister Margaret to the Protestant king Henry III of Navarre, and on the 22nd an assassination attempt was carried out against the Huguenot leader Admiral Gaspard de Coligny. The attempt failed, just severing a finger on the admiral, and his would-be murderer got away. 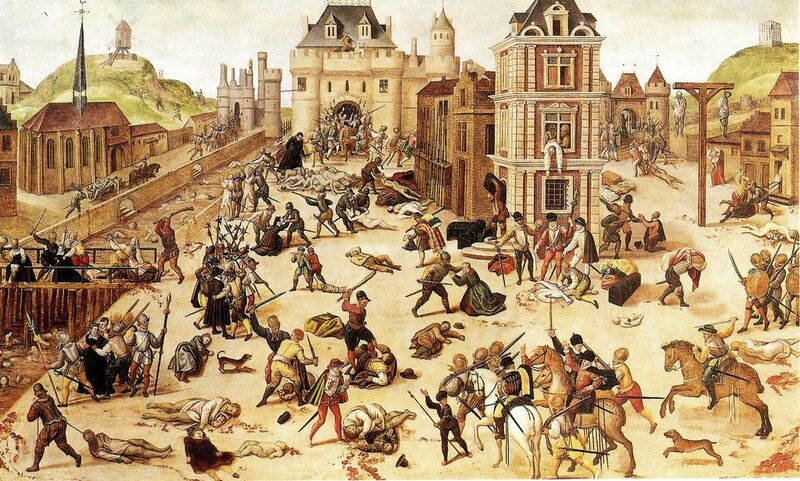 This agitated the Catholics of the city who feared retaliation, and on the night of St Bartholomew´s Day, a massacre of French Protestants started which made the Seine run red with blood. Apart from Admiral Coligny finally being murdered, it is believed that between 5 000 and 30 000 people lost their lives in the following weeks as the violence spread to towns and villages outside Paris. In Paris, Walshingham´s home became a sanctuary for terrified Protestants. 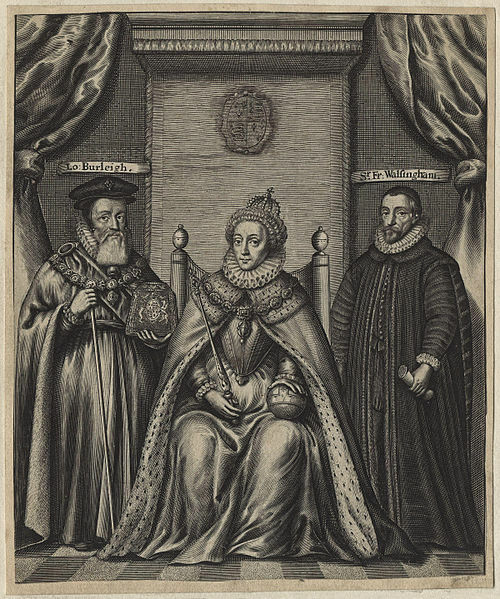 His wife Ursula managed to escape back to England with their four-year-old daughter, and shortly thereafter gave birth to a second daughter but Walshingham stayed on in France until April 1573. In December that same year he was appointed to the Privy Council as well as made principal secretary alongside Thomas Smith who retired in 1576, with Francis Walshingham becoming the keeper of the privy seal, although he was never formally invested. He was knighted in 1577. It is of course impossible to write about Walshingham without getting into more detail about his work as the “spymaster” in service of Elizabeth I. It has been suggested that Francis Walshingham practically invented espionage, but that isn´t quite true, there had been spies before him, but he managed the task masterfully. Among his achievements was the downfall of Mary, Queen of Scots, who thought she in secret communicated with her supporters, but due to Walshingham, together with people working for him, having developed a technique which allowed them to open letters without breaking the seal, as well as employing people capable of deciphering them, every letter she sent and received was read by the spymaster and his co-workers, thus exposing the Babington plot in 1586 which aimed not only to, again, murder the Queen and replace her with Mary, but also to facilitate a Spanish invasion of England. The whole process started after Walshingham and Cecil realising that the isolation Mary had been subjected to after a previous plot also meant that they had no means of discovering future plots to bring Mary to the throne, and she was once again allowed to communicate with her friends. The scheme to expose Mary involved Gilbert Gifford, originally part of the plot himself, but after having been arrested by Walshingham, he had agreed to act as double agent. The letters were deciphered by Thomas Phelippes, a forger and intelligence gatherer in the employ of Walshingham who at the time was housed under the same roof, Chartley Hall, as Mary herself. When he had intercepted and deciphered the letter that finally, beyond any doubt, proved Mary´s involvement in the plot, he allegedly drew a gallows on the envelope before passing it on to Walshingham. It did indeed end in the execution of Mary within a week after the final evidence had been revealed. 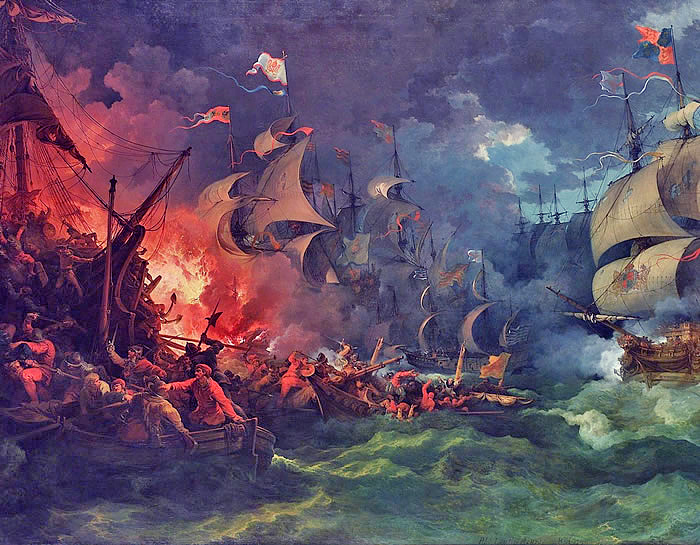 Francis Walshingham was also instrumental in the preparations that greatly helped to secure the defeat of the Spanish Armada in 1588. From the time of the discovery of the Babington Plot in 1586, Walshingham received a large number of dispatches from his agents on the continent regarding a planned Spanish attack on England and worked tirelessly to prepare England for war with Spain, and was among other things behind the rebuilding of the harbour at Dover as well as supporting Francis Drakes attack on Cadiz which left the Spanish fleet in bits and pieces in 1587. An invaluable asset in gathering intelligence was Anthony Standen who was a friend of the Tuscan ambassador in Madrid, and of course on Walshingham´s pay role. One of the people believed by some to have been one of the spies in service of Francis Walshingham is the playwright Christopher Marlowe, for whom the court stood up when he was accused of travelling to France to study at a priest seminar, but there is no conclusive evidence of this, which maybe is only to be expected in the world of spies. The theory is however that Marlowe during his time in France acted as an agent for Walshingham, which would explain the royal intervention when he was accused. What can however most likely be dismissed as nothing but fantasies is the idea that Walshingham should have been behind the murder of Marlowe, not least since Walshingham himself had been dead for three years at the time of the murder. As mentioned earlier, Walshingham was not the first to employ spies, but what has made him stand out was how wide his network was, with men in his service in England, Scotland, France, Spain, Italy, the Low Countries, North Africa and Turkey. He planted agents in groups of Catholic exiles in Europe and managed to employ skilful co-workers. 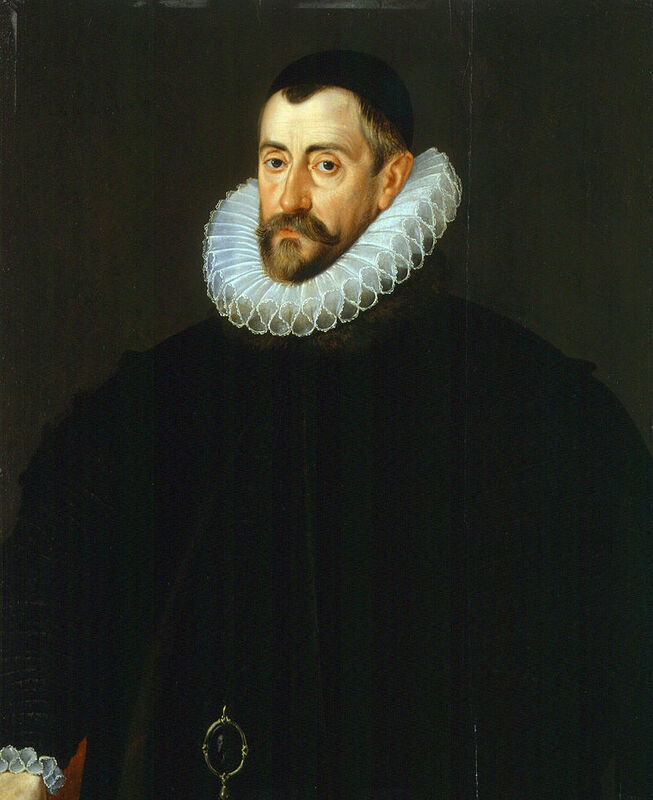 Francis Walshingham died on April 6th 1590 at the age of 58. He was married twice, to Anne Barne and Ursula St Barbe and fathered two daughters in his last marriage of whom the youngest died at 7 years of age. His surviving daughter, Frances, married three times, to Sir Philip Sidney (dead as a result of a wound sustained in the battle of Zutphen in 1586) , Robert Devereux , 2nd Earl of Essex (executed for treason in 1601) and Richard Burke, 4th Earl of Clanricarde. At the time of his death, Sir Francis Walshingham was heavily in debt, partly because he funded much of his intelligence work out of his own pocket, but also because he took over the debts of his son in-law Philip Sidney after his death. He was buried at St Paul´s Cathedral but his grave was destroyed in the great fire of 1666. He is mention on a plaque at the cathedral as one of those once buried there. Walshingham and Burghley in Queen Elizabeth´s Privy Council – Conyers Read/The English Historical Review. 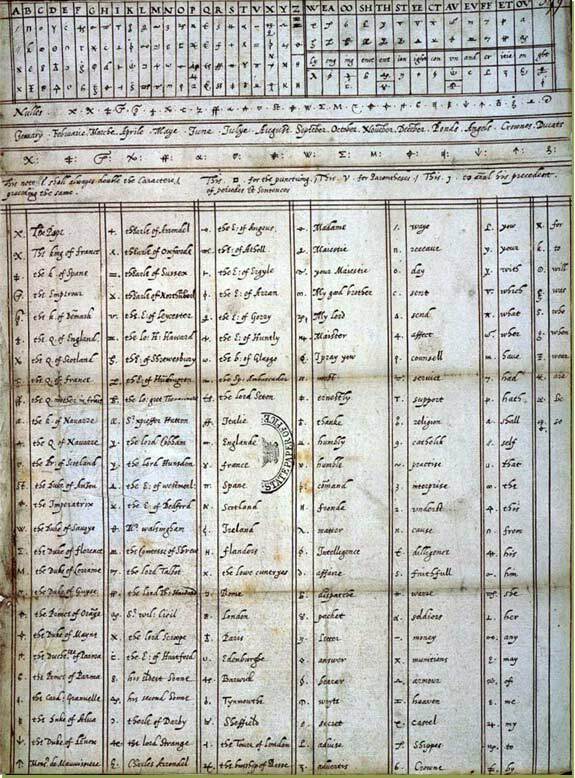 Actual deciphering code of Francis Walshingham, used to decipher the letters of Mary, Queen of Scots. ← Elizabeth Woodville & Edward IV – A true romance by Amy Licence.